We love this console cabinet! Are you looking for a striking focal point for your space? 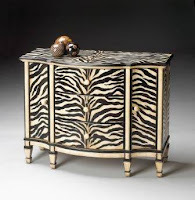 The Butler Handpainted Zebra Console is the perfect finishing touch for an entry way, living room or home office. 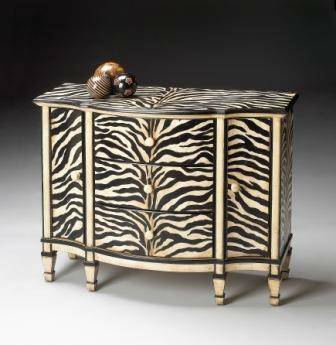 The unique console cabinet features a handpainted zebra finish, three felt lined drawers and two side doors. For more details visit http://www.cheapchicdecor.com/.